Thank you for choosing Hanamo Florist this year again! (Note 1) Prices for all items in the Valentine's day week (February 11th ~ 16th) are different, items in other categories (other than 'Valentine') may not be valid or will be sold at different prices. (Note 2) Any delivery orders for February 14th through this website must be placed by latest by 1pm (Pacific Standard Time) on February 13th. 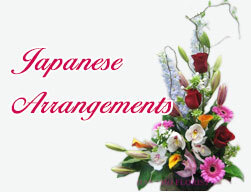 After this time period, customers must contact Hanamo Florist by telephone to confirm your delivery orders. (Note 3) Free charge delivery is not offered for any Valentine Week Orders including local hotel deliveries. (Note 4) Same day delivery orders on Feb. 14th depend on the business volume and weather & load condition.